2013: At our first event we came away with a win and the SEVWA Pro Outlaw E.T & MPH record. Scored another Pro Outlaw victory at Bug Out 73 in Dinwiddie, VA and set the MADRA Pro Outlaw 1/8 mile E.T. & MPH record. At Larry's Nationals we were runner up in the finals but we came away with a new ECPRA E.T. & MPH Record. At the Bug Out 74 Fore Racing came away with a new MADRA Pro Outlaw 1/8 mile E.T. & MPH record plus a victory. Radford event lead to another victory for the team and we reset the SEVWA Pro Outlaw E.T & MPH record. The Radford win secured the MADRA 2013 Pro Outlaw Points Championship. . We won the final SEVWA event of the year clinching the 2013 Pro Outlaw Championship. 2012: The Beast won Larry's National and also set the ECPRA Pro Mod E.T. and MPH record. We also won the VW Drag Night event as well. At the Darlington Showdown #1 Fore Racing became a member of the Mega Machine 5 sec. Club. Finished the year with winning our first ECPRA Pro Mod Championship. 2011: The Pro Shocker 3 finally made its first appearance at Larry's Nationals in Xenia, Ohio. The Pro Shocker 2 was sent to Paradise Motorsports to start its transformation into the Beast from the East! Pro Shocker 3 was sold to Ben Pada. 2010: The Pro Shocker 2 made its first appearance after not racing for 18 months. At the Big Bug Shootout we were runner-up at our first event. Won the VW Drag Night 2010 in Orangeburg, SC. Also, won the Larry's Fall Nationals and finished second in the ECPRA Championship title. 2009: Did not make any appearances. 2008: Raced to the semi-finals at the Silver Dollar Showdown. Later in the year I was involved in a spectacular crash in the semi-finals at Farmington. 2005: Started campaigning the Pro Shocker 1 notchback. 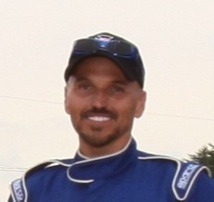 Won Larry's Nationals in Ohio and also earned a win at the Rockingham Event. Went to the finals in Pro Mod at the Sacramento BOR event. Set the ECPRA 1/4 mile record at the Pro Stock Nationals. Finished second in the ECPRA Championship title. 2004: Won season opener in Darlington, SC with new car and ran a career best 6.10et. Won the Atco Pro Stock race. 2003: Competed in the PTRO Events. Earned NHRA License. 2002: Campaigned two different Super Pro cars and made it to several semi-finals and won two different events including Bug Out 52 and D&G Imports Race. 2001: Competed in various VW events and local import races. 2000: Purchased various Super Pro VW drag cars. Acquired first RLR Pro Stock VW from Norman Hunt. Notable: Contrary to popular belief…Alan is not a Lottery winner.